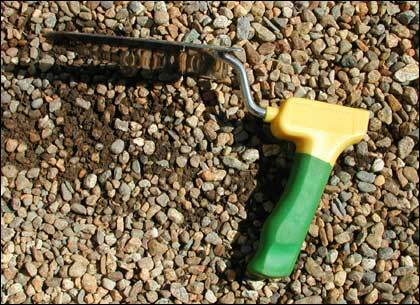 Tools that will make your gardening life easier. The ergonomic design of a fist trowel keeps your hand and wrist in a naturally stress-free position. This prevents wrist and arm strain and makes it easier to get a firm grip on the trowel if you have trouble holding on to a normal handle. 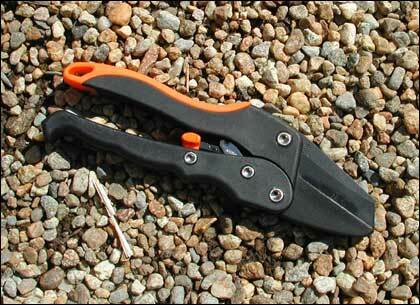 Many gardeners complain that pruners are difficult to use. Instead of making one large cut, the ratchet pruner allows you to cut through a branch incrementally with ease, relieving arm and hand strain. A lot of people find it tough to kneel down and work in the garden. 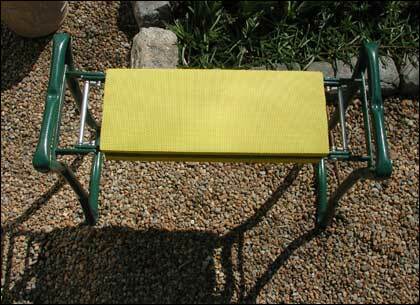 An alternative solution to knee pads, this bench can be used in a variety of ways to prevent sore knees. Turned upside down you can use its foam pad to kneel on, cushioning your knees as you garden. Also, for some, after working for a long time at ground level, it is difficult to use their knees to get up again. When this happens, you can push down on the arms or handles to pull yourself up. This bench is also good if you are restricted to a sitting position while gardening. Just flip it over and it becomes a comfortable bench for sitting on while working at raised beds. 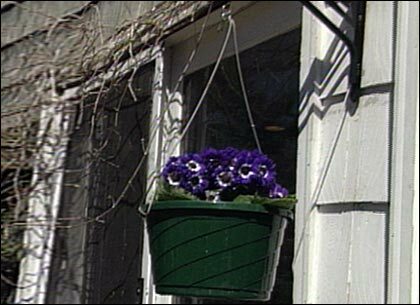 Hanging plants can weigh a ton, especially when they've just been watered. This handy basket, hung from a triangle-shaped bracket, is equipped with a pulley system for raising and lowering — halving the weight of the basket. And if you can't reach your plant to water or tend it, you can just bring it down to you rather than needing to climb a stepladder. This segment appears in show #2809.